Come as you are. Be challenged. Leave changed. 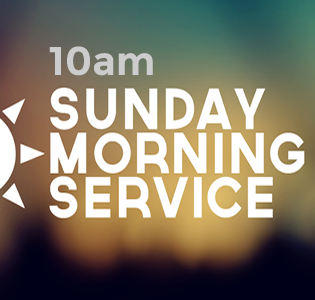 One Sunday liturgical worship service with nursery care provided. Special holiday services added on Christmas Eve and Easter. Mid-week evening service during Lent. Traditional Worship is a reverent, inspiring service that combines liturgical worship (complete with candles and acolytes) with joyful praise in the hymn-singing and special choral anthems. Organ and piano solos from the concert repertoire provide inspiring moments for reflection throughout the service. Sunday morning educational opportunities for all ages! Please see the FAITH section of the website for more information. Ascension offers a variety of musical opportunities to people of all ages and abilities. Whether participating in weekly services or special programs, the gifts of each person's spirit contributes greatly to the heart-filled sense of worship we pursue. We have a high standard of musical excellence that is achieved with diligence but also with a sense of excitement and joy. Members and non-members alike are encouraged to participate in any of the musical groups listed below and will be joyfully received! Ascension supports 'One Tree, Many Branches' concerts that are free and open to the public as part of a series. The focus of this series is embracing diversity. Each concert will offer a new listening and spiritual experience as the series encompasses traditions from parts of the world other than our own; sounds from the concert hall as well as multimedia and dance. All art stems from a basic creative need to express the human condition, and the more conditions we come to appreciate - or at the very least experience - the more compassion we are capable of having towards one another. You are encouraged to come to as many concerts as you are able, regardless of whether or not you think it will be something you like as often times the best concert-going experiences happen when we are surprised by what we do like! A free will offering is accepted at the end of each concert that supports the future of this series. Specific information on our concerts can be found on our website at Concerts or by clicking on the link Concert Series at the top of this page.